red bull — A humble hunter for human insights. 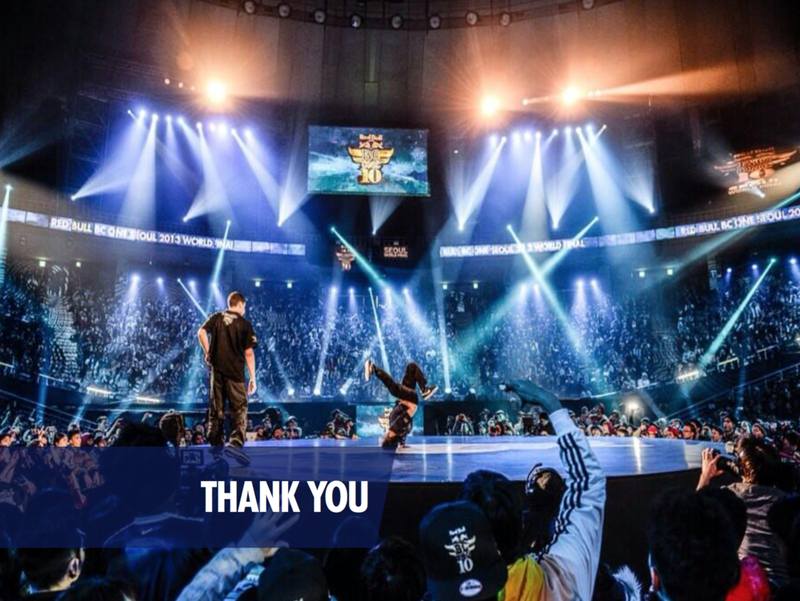 The biggest project that I played a role in was the Red Bull BC One World Final 2013 that was held in South Korea. 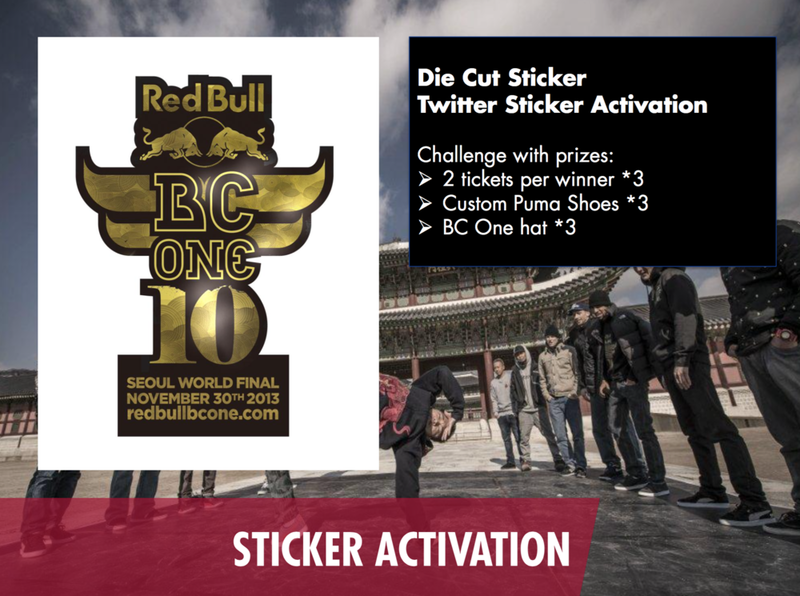 Red Bull BC One is an annual international B-Boy competition organized by Red Bull. It is an individual B-Boy competition. It was a year long project with continuous activations. 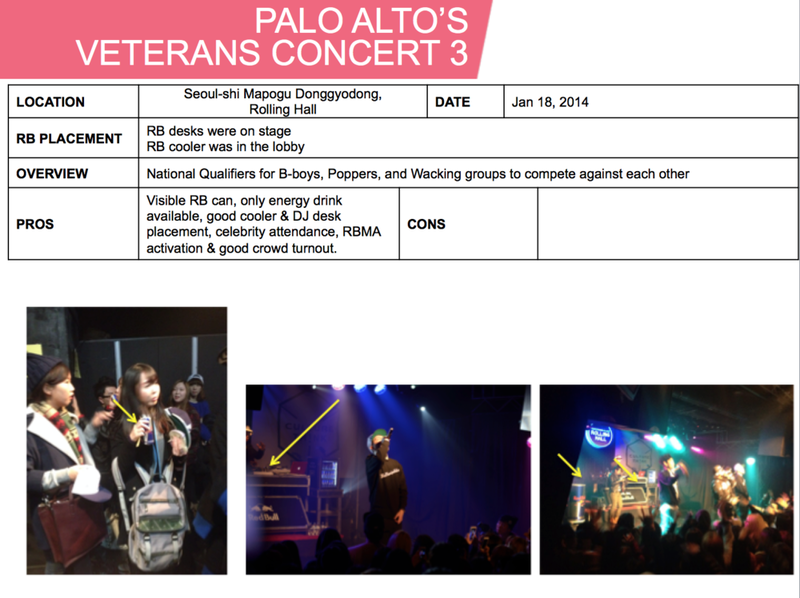 I have displayed only the parts of the activations that I was directly involved with. One of my main responsibilities at Red Bull was to negotiate, coordinate, & sponsor culturally relevant events that align with the Red Bull brand. Below are only some of the events that I enjoyed working on. 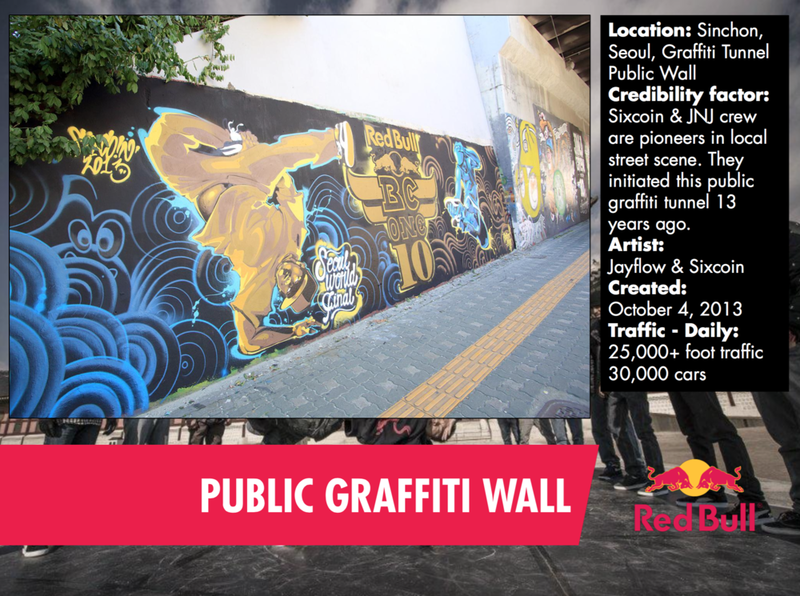 Approach: GD is known for his love for Dragonball Z, his dogs, friends, music, and band members (Big Bang), so why not combine the world of GD with the world of Red Bull? Execution: The cooler was painted in gold and Sohyun's design was lasered into 3 sections that was snapped back onto the original Red Bull cooler.